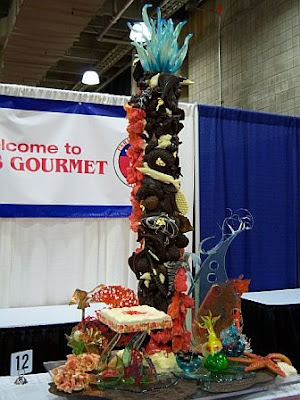 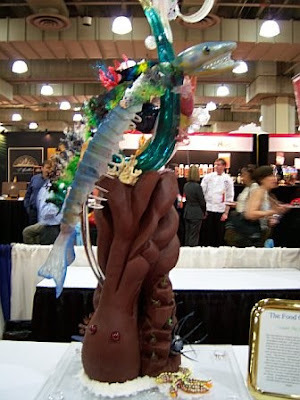 Here are a couple of fabulous chocolate candy show pieces that were presented at the International Restaurant & Foodservice Show of New York at Jacob K Javits Convention Center in New York City that I had the opportunity to attend on Sunday, March 9, 2008. 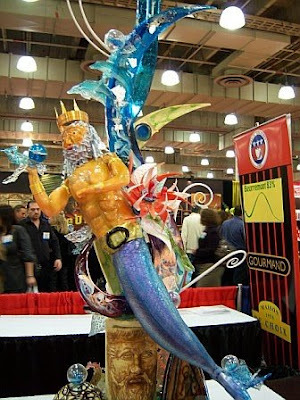 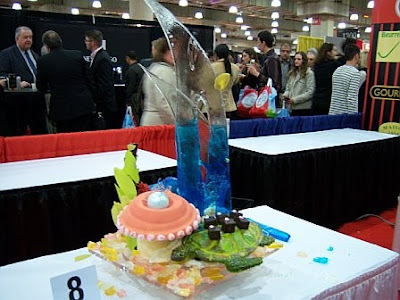 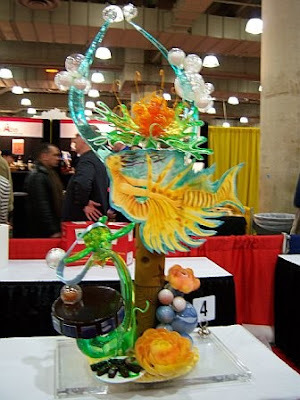 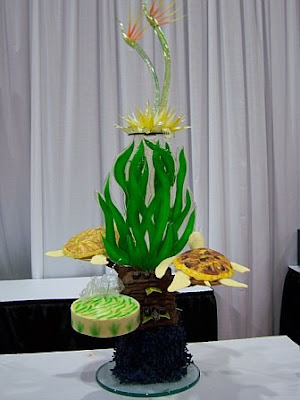 The 2008 Showpiece Theme was: Under The Sea. 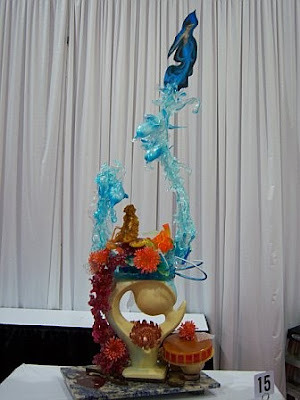 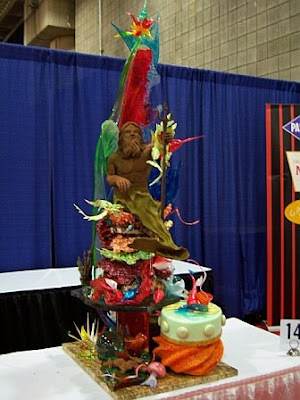 Each piece had to have chocolate, sugar, cake and tuffle pieces on the show piece. 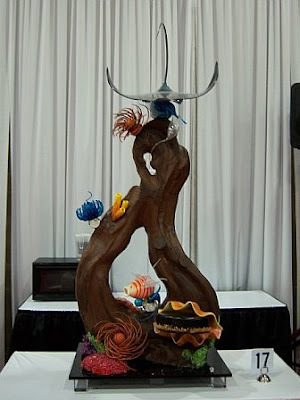 The Grand Prize winner recieved a Gold Medal, a Silver Plaque and 4, 000 dollars. 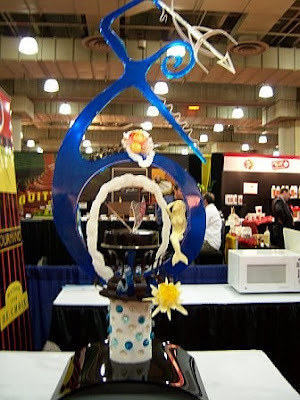 The whole pastry event was over seen by the Societe Culinaire Philanthropique. 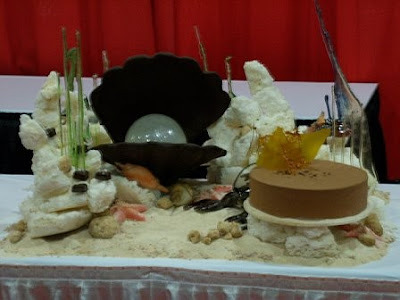 Plus there were many well known French establishments there sponsoring the event: Paris Gourmet, Cocao Noel, Pastry 1, Beurremont, and Gourmand and Maison de Choix. 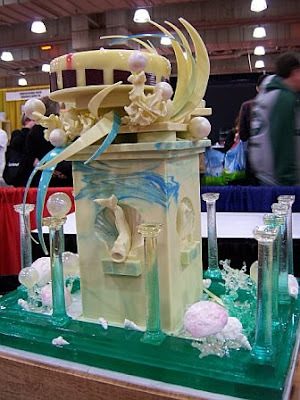 Enjoy the pictures I hope they do them justice... 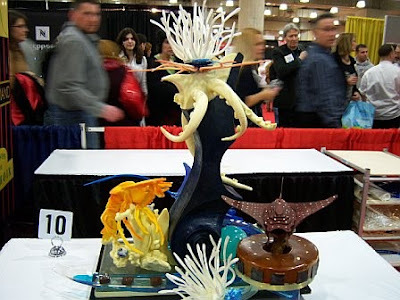 I was definetly excited and amazed to see them in real life.